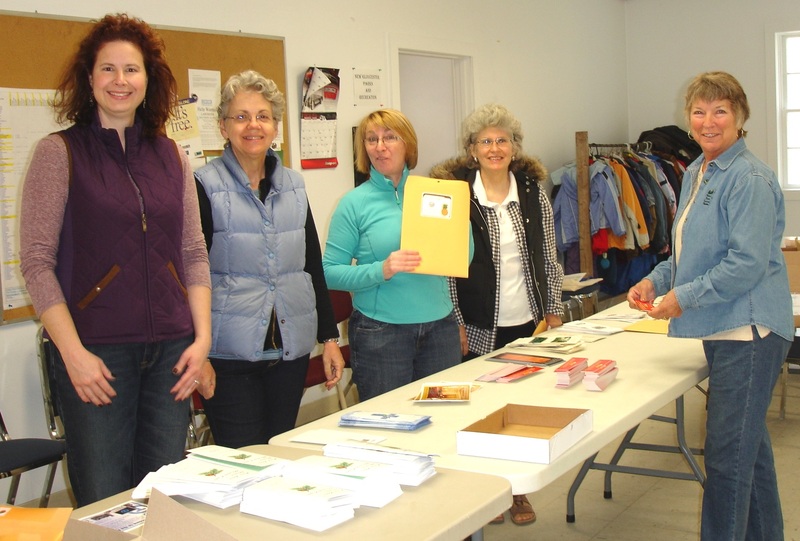 In 2014, Welcome, Neighbor volunteers Beth Blakeman-Pohl, Debra Smith, Mabel Ney, Connie Michaud and Ruth York assemble packets of materials to be given out to newcomers to town. Local businesses and organizations can obtain free publicity by participating in Welcome, Neighbor, a grassroots community volunteer project. It was developed to welcome new residents to New Gloucester by providing information that may assist in their transition. Only New Gloucester-based businesses, organizations and community groups will have the opportunity to include items, such as business cards, brochures or other promotional materials, in the 100 packets to be assembled. There’s no charge or obligation to participate. To be included, drop off 100-count of your item to the town office by Friday, Feb. 19. For more information, call Beth at 650-5228. This entry was posted in News, Other and tagged local organizations. Bookmark the permalink.